John is the founder and CEO of Go Sustainable Energy. John has led Go’s strategy of attracting best-in-class engineering talent, to provide accurate, unbiased advice on energy-efficiency and sustainable energy, from practical next steps to cutting edge projects. John has built on deep technical energy engineering expertise to become a leader and visionary on practical design considerations for the changing electrical grid, and societal use of energy. John’s strengths of understanding and navigating the technical, economic, policy, and market contexts surrounding energy efficiency and sustainable energy attract a clientele of pioneers and leaders. John leads Go’s regulatory, policy, and electricity markets team servicing customers and utilities, strategic energy management team serving Fortune 500 and large-spend organizations, and has directed Go’s investment in pioneering services of net-zero energy design, utility program design, and research on customer decision making. 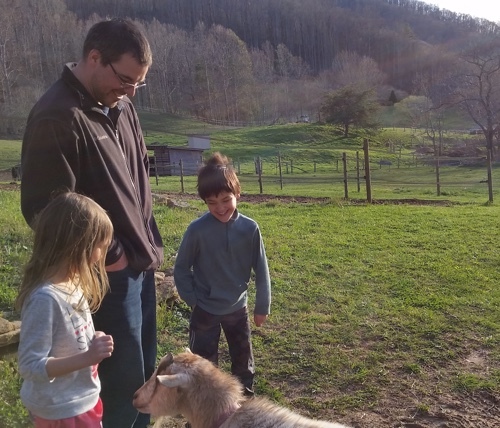 John enjoys balancing the systemic solutions Go provides to clients with the seemingly futile exercise of picking up trash in the local woods with his kids in tow. This may stem from the satisfaction of creating a safe place for neighborhood kids to catch toads and darter fish. Or, it may be long simmering feud between John and garbage – John was mercilessly slashed by a broken bottle during Clean Up Barberton Week in 1987, requiring five stitches. He still bears that scar!